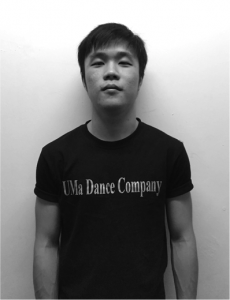 Sia Jau Huei is our very own Street Dance and Hip-Hop instructor and choreographer. Having learnt popping, locking, hip-hop, and house style dancing as a teenager, he turned his hobby into a career when he joined the University of Malaya’s Performing Arts Programme in order to obtain a more formal training in dance and dance instruction. As an undergraduate student, he widened his repertoire and was trained in contemporary, basic ballet, jazz, as well as performing arts theory. Jau, as we warmly call him, graduated with distinction. He is now exploring various avenues to work on choreography and also teach part-time. He joined Dancesteps Studio early 2014.